This item includes the Molasses Platform Bed frame only, a mattress is not included. This frame is available as a twin and full size in a cherry, chocolate or white finish. If you are looking for a mattress, please see our Platform Bed Mattress section for premium quality mattresses. 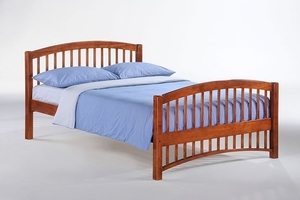 The Molasses Platform Bed Frame is manufactured using high quality solid hardwoods, and is perfect for everyday use. It features a premium multi-step stain and lacquer process to create a superior finish. 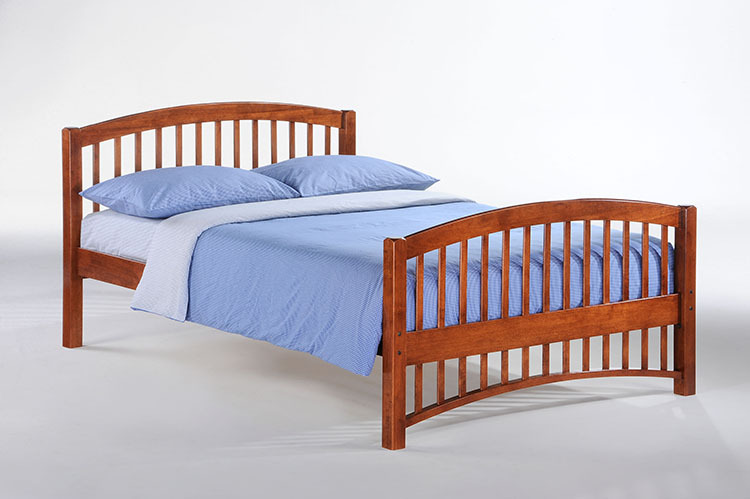 This Platform bed comes complete with the slat kit and center support rail (except twin) for your mattress to sit on. The Molasses bed can be shipped via UPS Ground or LTL Freight*. Most orders ship out within two business days.